The Centre had a stand and took part in both the pre-workshop training day and the conference. 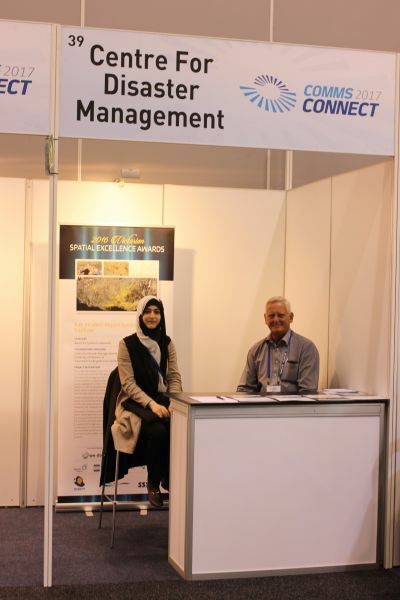 Comms Connect is a key source of vital information and networking opportunities for the critical communications space. The conference follows current trends, hot topics and latest technology solutions in critical communications and is relevant to industry and government representatives interested in a variety of topics around public safety, transport and utilities, resources and security. 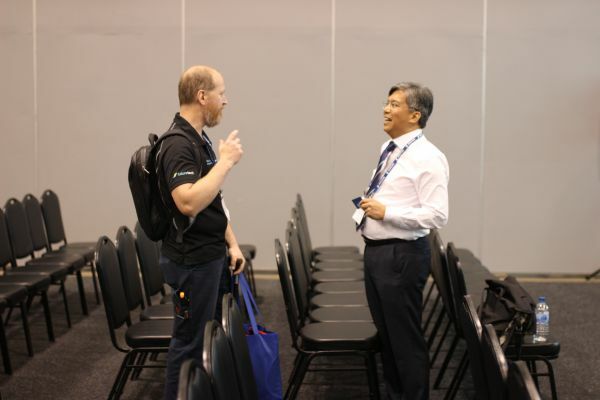 The conference and exhibition deliver countless opportunities to seek out new technology, share ideas and make new contacts. Our Senior Industry Advisors, Geoff Spring and Dave Williams, engaged with a number of national and international representatives from industry and government, including the Government of Canada, New South Wales Police, New Zealand Police, Melbourne Fire Brigade and the South Australian Government. Geoff Spring took part in the pre-conference workshops and gave a presentation titled 'Convergence of command, control solutions and International Critical Control Rooms Alliance (ICCRA)' as part of Workshop 7 – 'Back to the future — Digital land mobile radio & business critical broadband'. 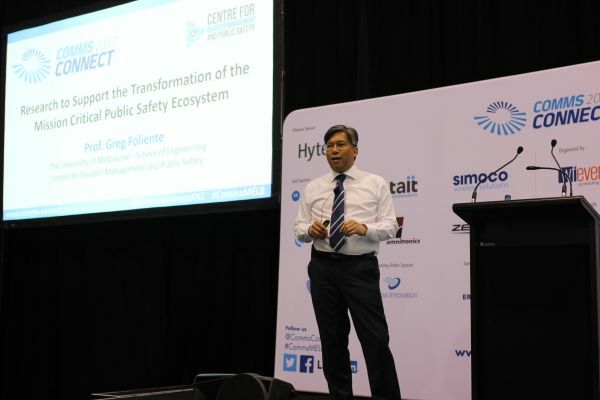 CDMPS Director, Professor Greg Foliente, gave a presentation during the conference titled 'Researching to support the transformation of the mission-critical public safety ecosystem'.